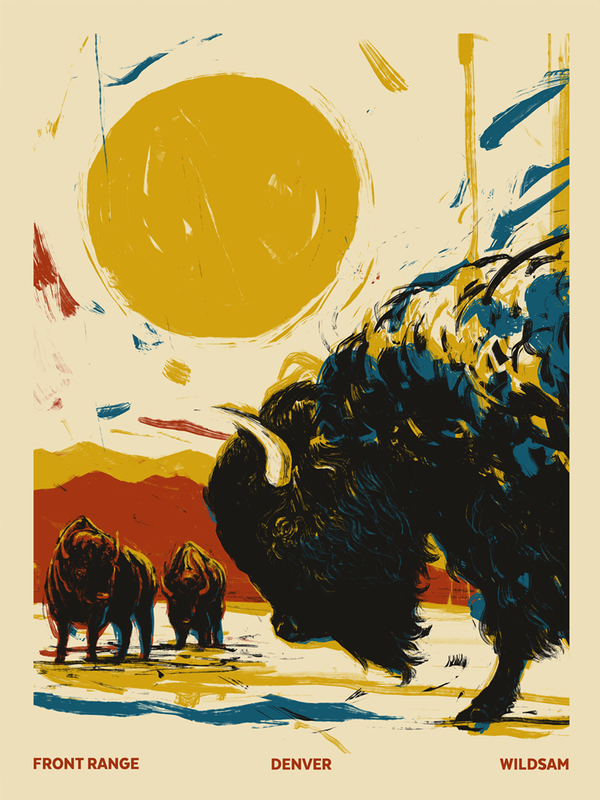 Denver artist John Vogl's tribute to the Front Range. Limited edition of 250 signed prints, 18"x 24" in size. Printed in four colors on French Manila Yellow Kraft #100 Cover by Martin Hammond at Diamond Hill Screen Printing. John is an illustrator-designer-artist of sorts working in Denver, CO. He works under the nonsense studio name The Bungaloo because he thought his real name was boring, but The Bungaloo is just a one man operation. He draws most of his work by hand, in pen and ink, and it seems to feature an overabundance of birds, leaves, and trees. His dog, Loki, is not a very useful studio assistant, but still very sweet and cute. 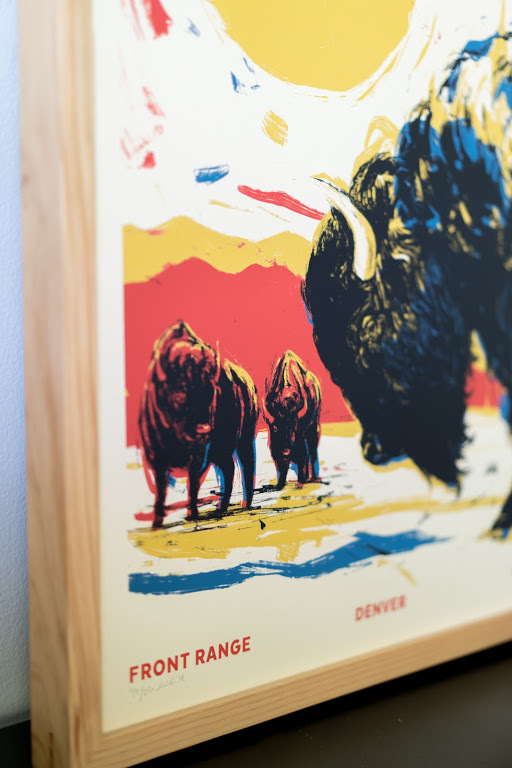 Martin Hammond’s Denver-based Diamond Hill Screen printing has produced limited edition, hand-screen printed posters and fine art prints since 2012.